One of the first things I learned as a medical student, intern, and resident is that children are not little adults. Compared to adults, children have a larger body surface area, a developing skin barrier until age one and are more likely to become dehydrated and sunburned. As we approach spring and summer, it is our job as dermatologists, parents and community members to encourage safe sun activity. I encourage my patients to use a physical blocker sunscreen (titanium and zinc based sunscreen) to all exposed areas of the skin when outside and to reapply every two hours (or more frequently if in the water). The FDA has mandated that sunscreen include a label on the back that lists the active ingredients in the product. In addition, the label will also tell you the length of water resistance provided by the product. The American Academy of Pediatrics has approved titanium and zinc sunscreens for use on children ages six months and up. 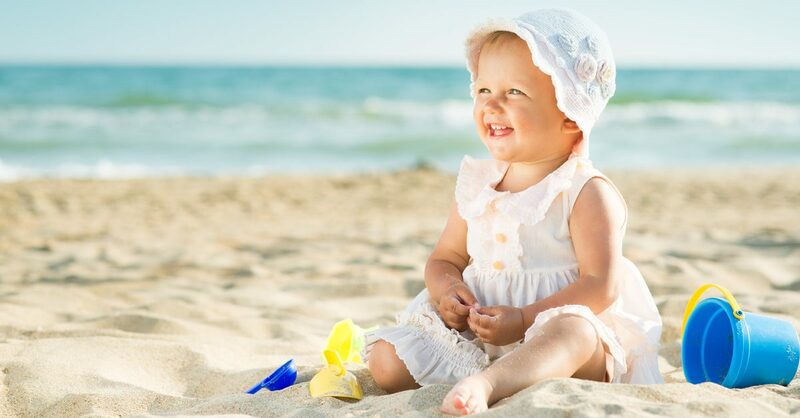 However, I tell parents that if they need to use sunscreen on limited areas that cannot be covered by shade, clothing or hats, then a small amount of titanium and zinc sunscreen can be used on younger babies. My favorite sunscreens for kids include Blue Lizard Baby, Blue Lizard Sensitive, EltaMD UV Pure and Vanicream. Spray sunscreens are notorious for uneven coverage. However, if needed, EltaMD has a spray sunscreen (UV Aero) that is titanium and zinc based. In addition to sunscreen it is very important to wear hats and to stay out of the sun between 10am and 2pm. Also, there is sun protective clothing that will have Ultraviolet Protection Factor (UPF) labeled on the tag. UPF clothing has sunscreen built in and this is a great way to keep kids and adults from getting sunburned without having to reapply sunscreen. Many fishing stores carry UPF clothing as well as the websites Coolibar and Solumbra, and you will soon be able to find them in the Skincare Boutique store at Cahaba Dermatology. Finally, although we try to be as conscious as possible to avoid getting a sunburn, if you or your family member gets a severe sunburn please do not hesitate to seek medical attention. We are available to assist in any way to allow patients to enjoy these upcoming months as safely as possible. Please enjoy the fresh air as the season changes but remember to wear sunscreen, hats, sun protective clothing and to stay hydrated!